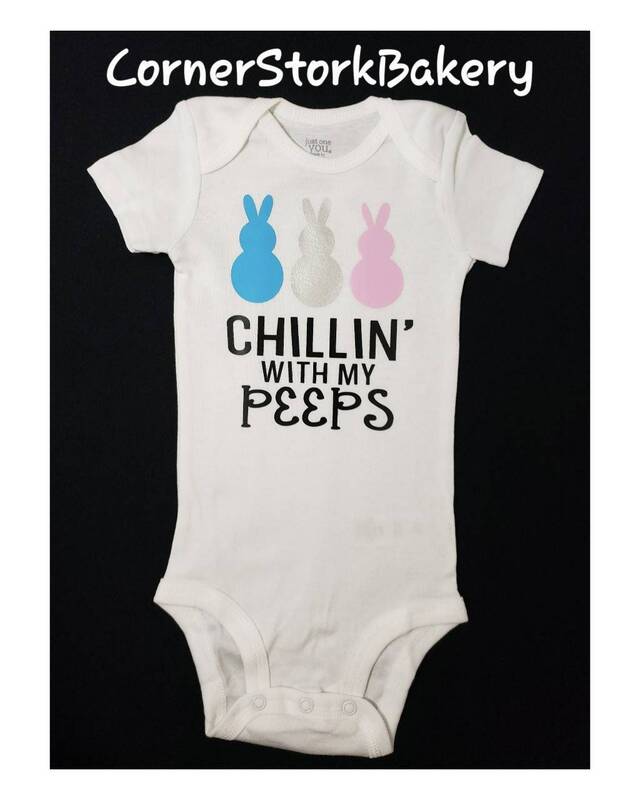 Custom made Chillin with My Peeps Baby Onesie makes a cute baby gift. It's perfect for baby's 1st Easter. This listing is for 1 Chillin with My Peeps custom onesie. • 1 Carter's brand white short sleeve onesie with "Chillin with My Peeps" design made with black, blue, silver & pink htv. Can be made in different colors per request. Nicely packaged in a cellophane bag with gift tag & matching ribbon. Can be made in long sleeves or other designs per request. Prices may vary. Send me a message and we can get your order started.